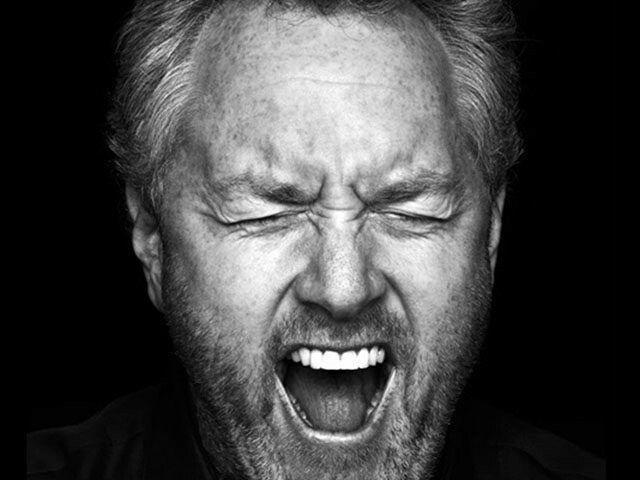 Breitbart News was the most engaged political publisher on Instagram for September, according to a report by NewsWhip. In the report, NewsWhip placed Breitbart News as the top political publisher with an 8.69 engagement score. YoungCons came second, with a 5.50 score, followed by ATTN (2.77), Chicks on the Right (1.99), Occupy Democrats (1.65), and Politico (0.47). 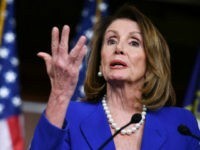 The Washington Free Beacon was given 0.40, followed by the National Review (0.21), CNN Politics (0.21), Democracy Now (0.15), the Nation (0.14), and Mother Jones (0.05). “Looking at publishers with a political focus, we can see that those with a more conservative or more liberal view tend to perform better than ‘middle of the road’ political publishers, like CNN Politics,” explained NewsWhip. “Congratulations to our best-in-class social media team and thank you to our loyal readers and fans for sharing our content!” Breitbart News Editor-in-Chief Alex Marlow declared in response to the news. In August, NewsWhip ranked Breitbart News as the 13th most popular Facebook publisher in the world, beating the Guardian, CBS, and The Hill, while on election day, Breitbart News beat the New York Times, CNN, and Fox News for total Facebook engagement. 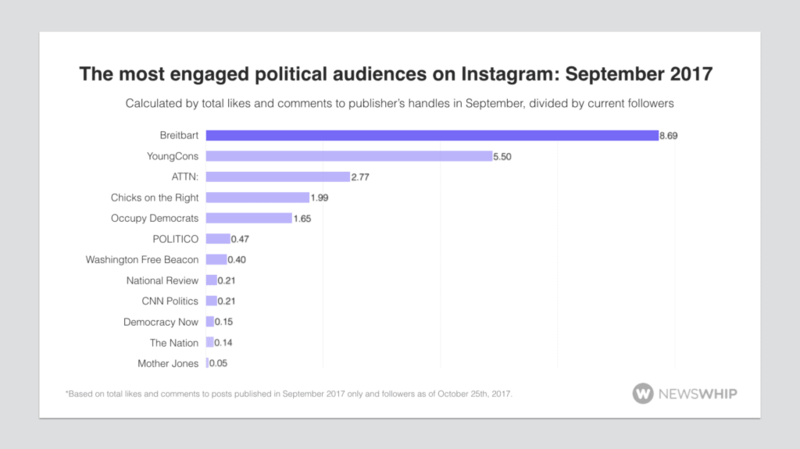 Earlier this year, Axios also claimed Breitbart News had the “most engaging right-leaning” Facebook page since President Trump’s election. Breitbart News’ official Instagram page (@wearebreitbart), which launched in August 2016, currently has over 116,000 followers. You can follow @WeAreBreitbart on Instagram here.